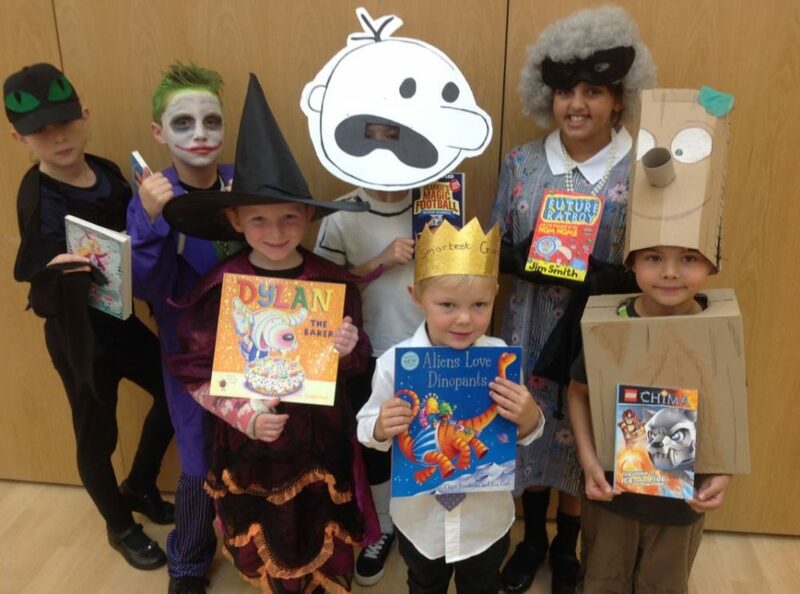 On Friday 25th January, we held our ever popular event, Books at Bedtime. 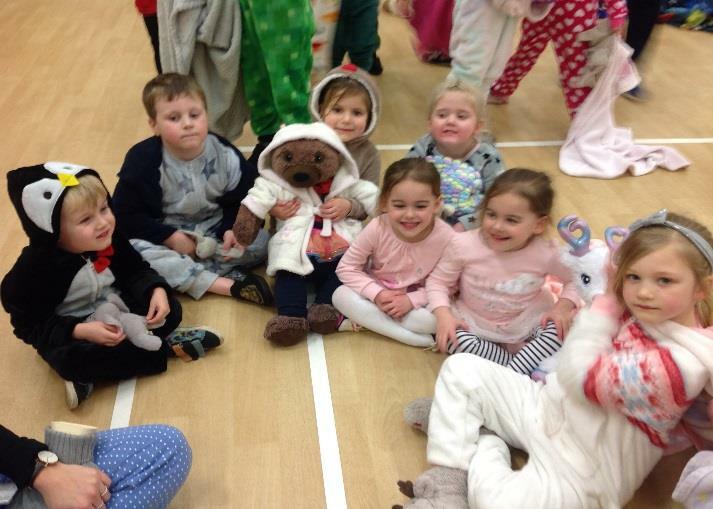 More than half of our children returned to school in their pyjamas, with a teddy bear. There were a choice of 4 books, all read by teachers (in their pyjamas too!). Afterwards, The Friends of the School provided hot chocolate and biscuits for everyone. Thank you to everyone for making it so much fun! Mrs Liz Cannock. It is our annual Harvest Festival Assembly on Tuesday 23rd October, which will have a musical theme with bible readings. A donation collection box will be in the entrance hall from Monday 15th October and we would be very grateful for all your contributions. Donations we would really like are; tinned toms, tinned kidney beans, jars of herbs/seasoning, dried and tinned lentils and dried pasta and rice. 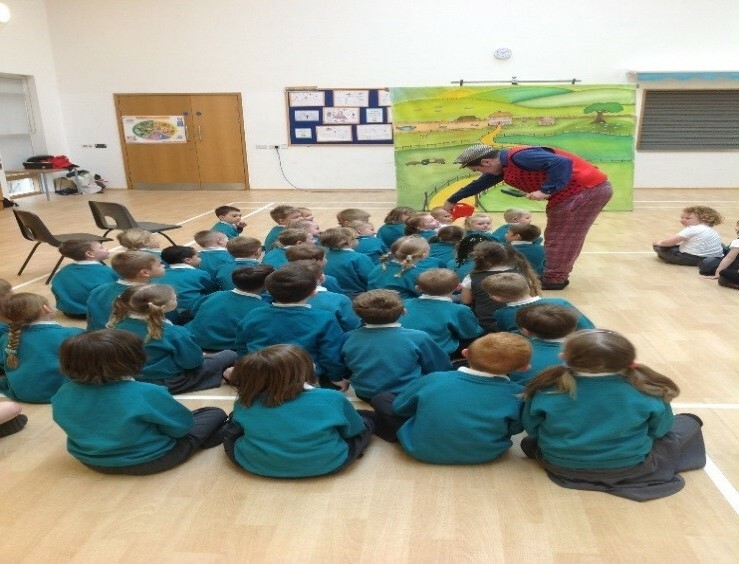 KS1 enjoyed watching the play “The Gingerbread Man” by the Aesop’s Touring Company on Friday 13th April and KS2 watched a very lively and entertaining story of Aesop and his fables. 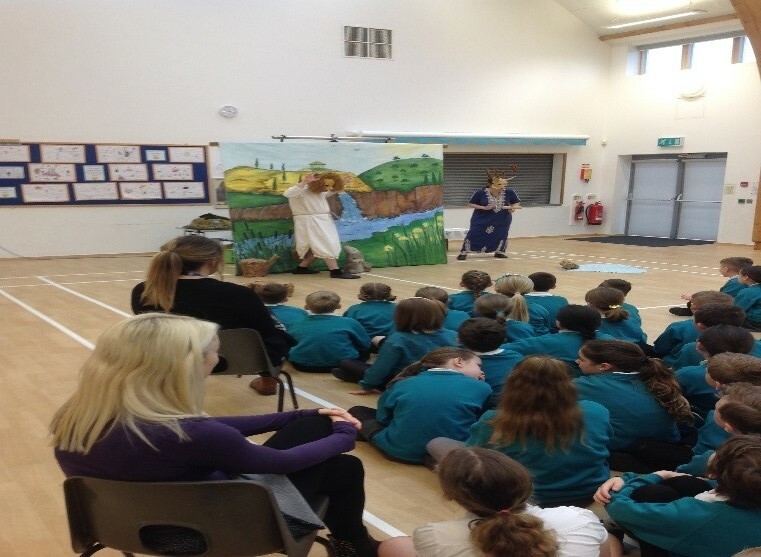 The children thoroughly enjoyed the show and took away some important messages. Many children were surprised to learn that despite the array of different characters there were only two actors.